Consider becoming a Friend of The Library to give future visitors the chance to know Christ. Thousands of people from around the world have given their lives to Christ at the Billy Graham Library, a living ministry where God’s power is on permanent display. The Library traces Billy Graham’s journey of faith from a boy growing up on a dairy farm to America’s Pastor and an ambassador for God to world leaders. It is a testimony to what God can do with a life yielded to Him. This life-changing work is possible only through the prayers and financial support of dedicated ministry partners like you. 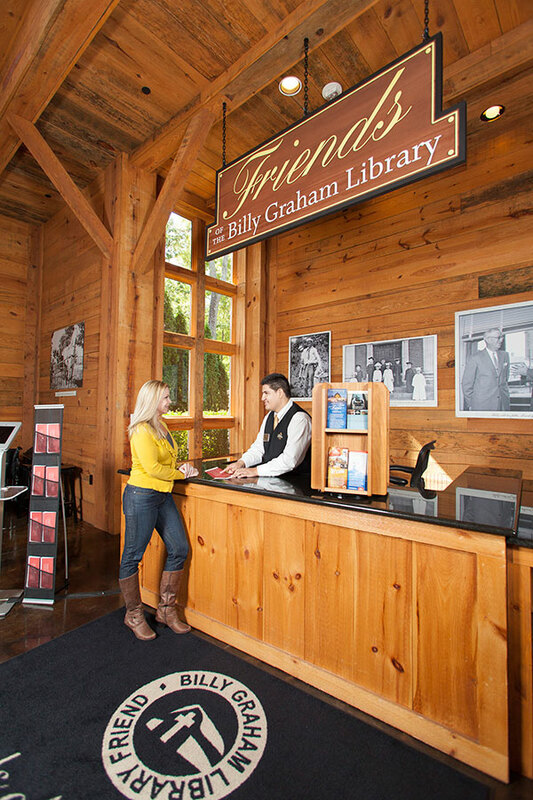 Would you consider becoming a Friend of The Billy Graham Library to give future visitors the chance to know Christ? Your donation can help “tell the next generation the praiseworthy deeds of the Lord, His power, and the wonders He has done” (Psalm 78:4). You can become a Friend of The Library by donating a minimum of $20 per month. Please enter an amount of at least $20 to continue. To find out more about being a Friend of the Library—or to request a speaker to visit your church, small group, civic group or Sunday School class—please email FriendsofTheLibrary@bgea.org.